Hardened single thread screws, zinc plated for greater protection. 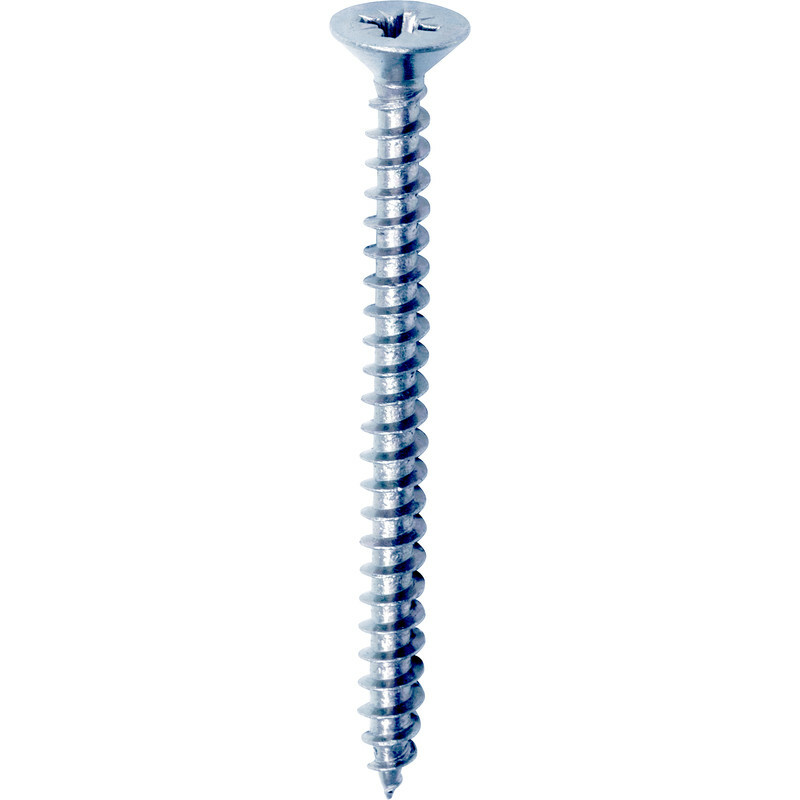 Multi Purpose Zinc Plated Pozi Screw 5.0 x 90mm (100 Pack) is rated 4.6 out of 5 by 85. Rated 5 out of 5 by Colinh09 from Nice for wood Perfect for screwing into soft wooden fence posts. I wouldn't fancy using them for anything that needs high stress. Great price for 200 pack. Rated 5 out of 5 by stevieblueblood from Absolute Bargain Did the job that I needed it to do. Excellent price as well so overall very pleased. Rated 5 out of 5 by Geoffers59 from Good quality Using these on a variety of projects round the house, good quality and do the job well. Rated 5 out of 5 by SLB wood from Does the job well I use these prfessionally every day for gate and fencing construction. Used to use more expensive (twice the price) one's from a different company but I find that these grip and pull the timber together well. Found best way to drive them is with an impact driver as opposed to a drill/driver avoiding any head shearing. Rated 5 out of 5 by Meester Chris from Good screw used to repair wood on a steam railway bridge Did the job nicely, do get the drill dead straight, rather unforgiving if you don't; but we did not wreck the head on any screws. Rated 5 out of 5 by PeeTee from As expected... Used to screw into softwood direct, no pilot hole, & they performed fine. Posi cross doesn't wear too easily. Perform as expected.